Professional treatments, microdermabrasion and peels, are used to improve the appearance of the skin on the face, neck or hands. Microdernmabrasion followed by a chemical peel is known as a Micropeel. Many, but not all, treatments contain ingredients that cause it to exfoliate and eventually peel off (hence the term peel). The treated regenerated skin is usually smoother and less wrinkled. Peels can be used to treat acne scars, aging skin, crow’s feet, scars, sun-damaged skin, sagging skin, wrinkles. Micropeels can be used used in combination with microneedling for maximal effect of both treatments. 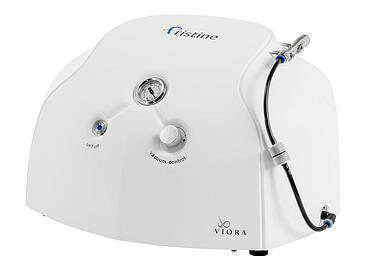 Pristine microdermabrasion combines the polishing action of laser-cut diamond crystals with the cleaning action of vacuum to exfoliate the outer rough outer dead and flaking skin cells and stimulates the growth of new skin cells and the production of collagen and elastin.